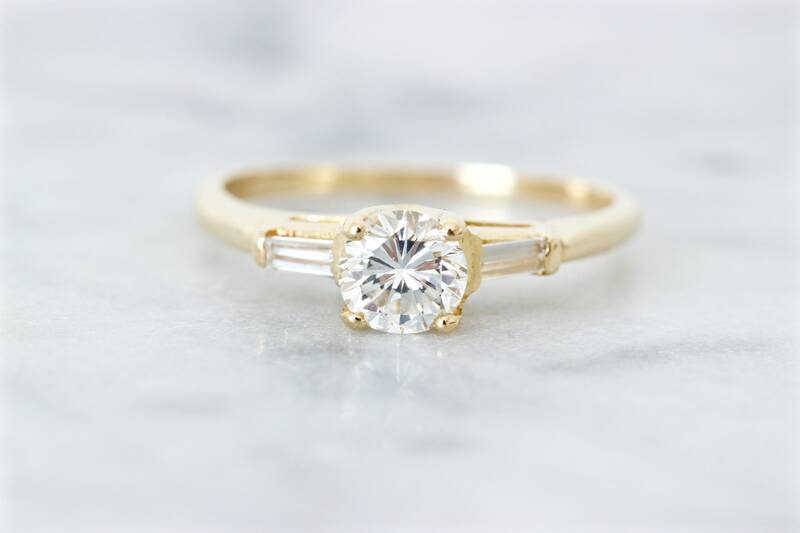 An elegant yet simple piece, this vintage engagement ring is cast in 14k yellow gold in a classic Mid Century solitaire mounting. 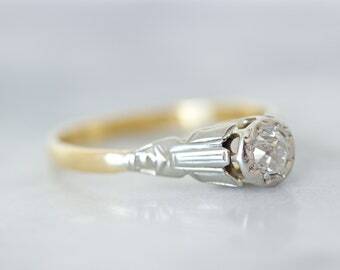 It showcases a brilliantly sparkling 0.58 carat diamond with sleek baguette cut diamonds flanking it on either side. 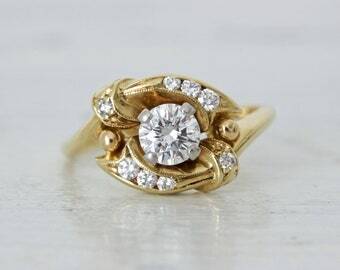 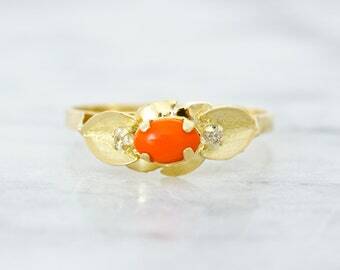 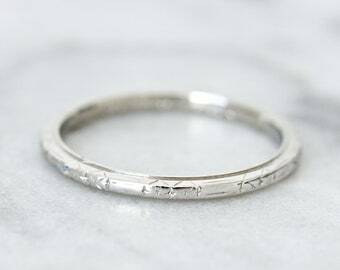 A lovely, timeless piece, this ring is the perfect choice for your future heirloom. 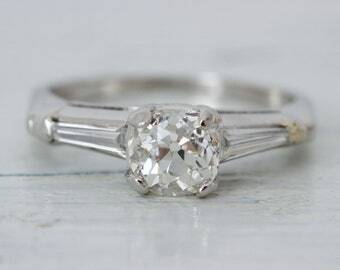 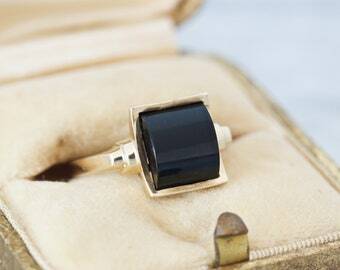 RING SIZE: Slightly smaller than a US 7.25 / AU O and sizable at least 1-2 sizes by a skilled jeweler.